Tarek Chemaly: Byblos Bank Independence Day with extra cheese. 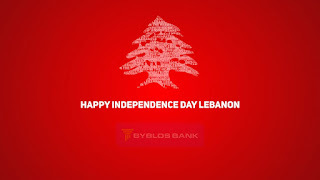 Byblos Bank Independence Day with extra cheese. And then sometimes, it just does not happen. The Byblos Bank ad for Independence Day seemed great on paper, but there had to be a "lost in translation" somewhere. Expats praising Lebanon for its independence looked like a good idea, pity it turned out to be with an extra serving of cheese on top. Watch the film here. As a source told me off the record lately "grant you, not all of our attempts succeed, but at least we try with our communication". Try they did. Succeed is a different story.